Sometimes you need to let go, for your own sake. Now that the grade school social scene is firmly behind me, I understand that my mother didn’t literally mean that every kid who picked on others had a difficult home life. She meant instead that people hurt one another for a reason, and understanding those reasons can help us make sense of hurtful experiences and move on. Research on forgiveness backs up my mother’s advice, with numerous studies (below) finding that forgiveness not only encourages emotional healing, it can improve your physical health. But many kinds of trauma go much deeper than a few grade school taunts, and even “normal” childhood hurts can leave big scars. When it comes to deep experiences of pain and anguish, from traumatic accidents to sexual assault, is “forgive and forget” actually the best advice? Therapists say the act of forgiving can help us move on, but only if it’s something we feel genuinely. In the 1970s, burn surgeon Dr. Dabney Ewin discovered a trick. He began noticing that burn patients coming into his emergency room brought another kind of heat: the fire of their anger toward themselves or whoever caused the accident. Ewin soon found that when he encouraged his patients to let go of their anger and devote their energies toward healing, patients got better faster. 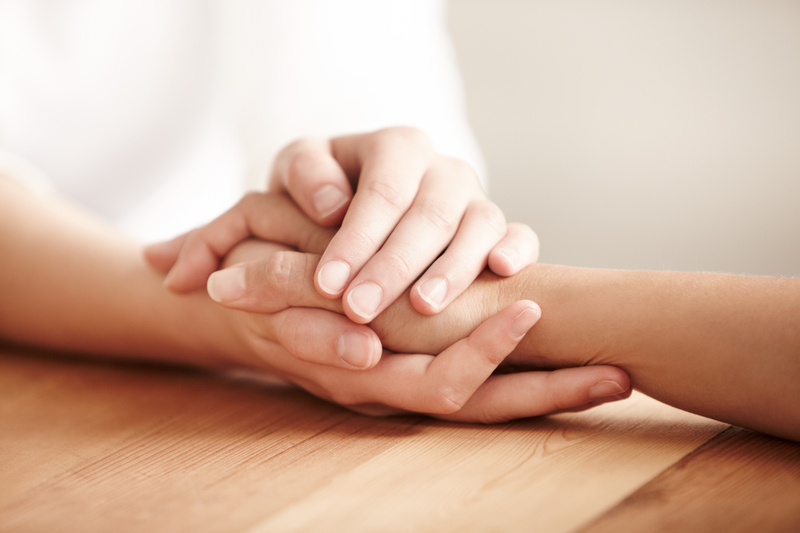 While Ewin’s experiments in the healing powers of forgiveness were anecdotal, numerous studies have found a relationship between the act of forgiveness and improved mental and physical health. Forgiveness for past trauma lowers stress levels, increases emotional wellbeing, and even decreases patients’ heart stress and blood pressure. In fact, one study found that failure to embrace unconditional forgiveness is correlated with mortality. Translation: forgiveness can be life-saving. Forgiveness can be good for your health. But does that mean you’re obligated to do it? The positive effects of forgiveness can only help you heal if it’s something you choose, therapists say. According to Deborah Schurman-Kauflin, it is completely possible to move on and heal from trauma without forgiving the perpetrator. In fact, forcing yourself to forgive, or pretending to forgive when you really haven’t, can actually be counterproductive to healing. People who pressure you to forgive can have ulterior motives: wanting to spare themselves guilt, not wanting to support you, or in the worst case scenario, wanting to cover up what happened to you. Forgiveness can also be easier if the trauma’s perpetrator is actually held accountable. As Tina Gilbertson writes, it’s much easier to forgive someone who genuinely apologizes and changes their behavior — an act of accountability which, unfortunately, can be rare. At the end of the day, whether or not to forgive is a choice only you can make, and not wanting to forgive doesn’t make you a bad person. Instead of forcing yourself to forgive when those feelings aren’t coming naturally, you can choose another method of coming to terms with trauma. Whether it’s dealing with our emotions through therapy, finding a way to connect with other survivors, or forgiving the perpetrator, we can “unburden” ourselves of past trauma in the ways that feel right for us. If you do choose to forgive, what does the process actually entail? Forgiveness doesn’t have to be something we ask directly from the person who hurt us. It doesn’t mean that what the other person did was okay or that they will be let off the hook for the consequences of their actions. It also doesn’t have to lead to a reconciliation with the person who caused harm. In some cases it may actually be unhealthy or even dangerous to have that person in our lives. Instead, forgiveness can be a personal process of letting go of emotions that keep us in the past and from committing to moving forward. For therapist Andrea Brandt, forgiveness entails confronting what happened to you, understanding the growth you may have experienced from that incident, trying to understand why the other person did what they did, and finally offering an affirmation of forgiveness. Only you have the agency to decide what healing process is best for you, and whether you want to tell that person you forgive. Nurturing feelings of forgiveness in your own heart without expressing them to the person who hurt you can be a valuable way of moving on, too. While my mom’s “maybe they’re having problems at home” comment irked me as an eight-year-old child, it turns out she was giving me a helpful insight: Understanding someone’s motivation for causing harm doesn’t make that harm okay, but it can help us move on. My mother’s outlook taught me that we have the power to heal, and that we can choose healthy ways to deal with painful experiences. While forgiveness may not be the right path for all of us, one of my mom’s insights on schoolyard bullies holds true for the process of healing in general. Rather than becoming paralyzed by our pain and passing along the cycle of hurt to others, we can always reach out for help and invite other bullied kids to sit at our lunch table.